psMobile is a native conference App with your scientific program. The Graphical representation of presentations, abstracts and the industry exhibition sessions in a timetable or list format guarantees great experience for delegates. It includes a simple to use yet powerful search engine that allows users to easily search the content of the app. Use push notifications to inform your delegates and allow various options for sponsors. 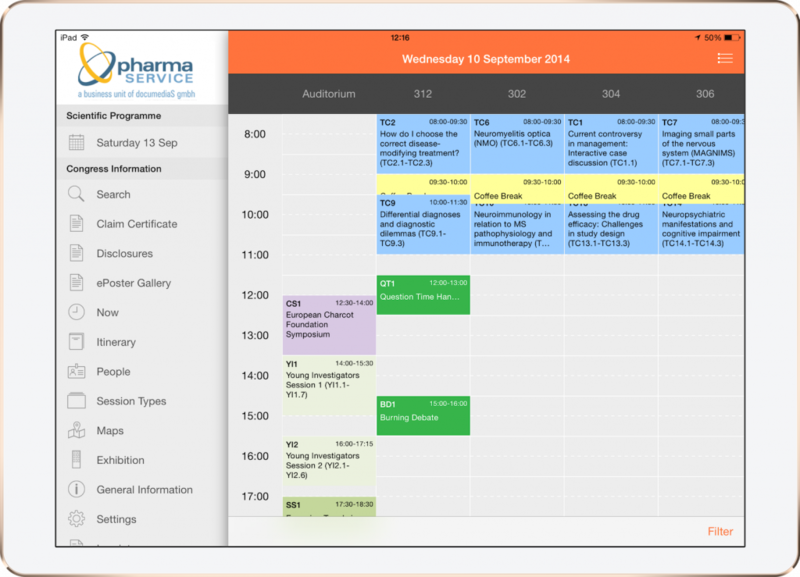 Automatic import and synchronisation between the psPlanner and the app. 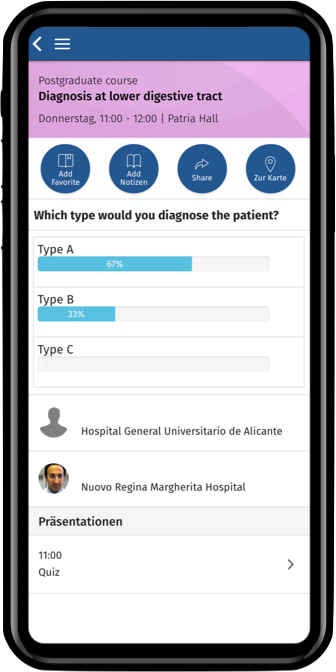 Our conference App not only lets you conduct live-surveys, but also allows delegates to ask questions, which can be answered directly by the moderators. The guest can also evaluate the congress, sessions and presentations. Expensive, time-consuming pen and paper surveys belong to the past. The tight integration of our solutions makes it possible to include the psPlanner and integrate your favourites into your personal planner. We also include the use of QR Codes to simplify the connection of sessions, presentations and people. 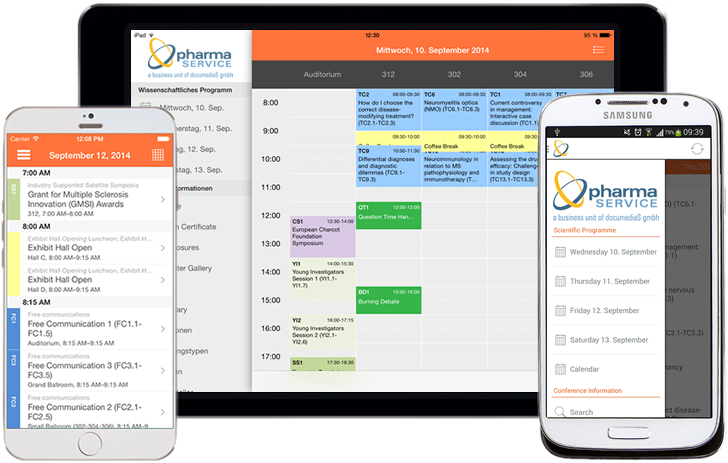 Delegates can export contacts and appointments which can make them independent to the app. 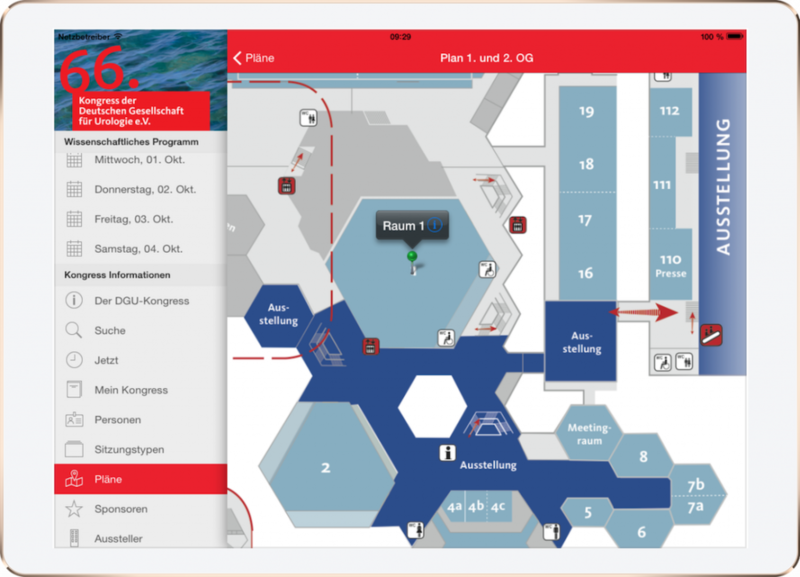 We also offer interactive maps containing all session rooms and exhibition booths for easy navigation. Individual exhibitor stands are linked to a detailed exhibitor profile with additional infor- mation to facilitate interaction with attendees. The conference data is completely loaded into the app so it can be used without an active internet connection. View, comment and use the app independent of network-coverage as all data is offline available. Contact us for more information on your new app and for more optional features such as in-app chats and certificates of attendance claims. "...Thank you for setting up our abstract platform and the App. Everything worked perfectly and the conference was a total success!..."